Soak rice ,toor,channa,urad,moongdal and fenugreek seeds together for atleast 3-4 hrs. Soak dry red chillies separately in warm water for 30minutes. first in a blender or grinder put dry red chillies,cumin seeds,fennel seeds ,garlic and hing. 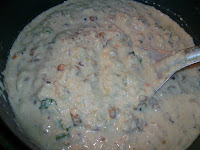 Run for few minutes and add soaked rice and dal ,grind it to a coarse paste with little water. This batter should be little thicker than the idly batter consistency. no need to ferment the batter ,grind it by evening for dinner. Transfer the batter to a vessel ,add salt and mix well. Add curry leaves ,coriander leaves onions and fry for few seconds then add finely chopped valaipoo. Fry for 2-3 minutes,valaipoo get light change in color. then add the tempered items to the batter and mix well. 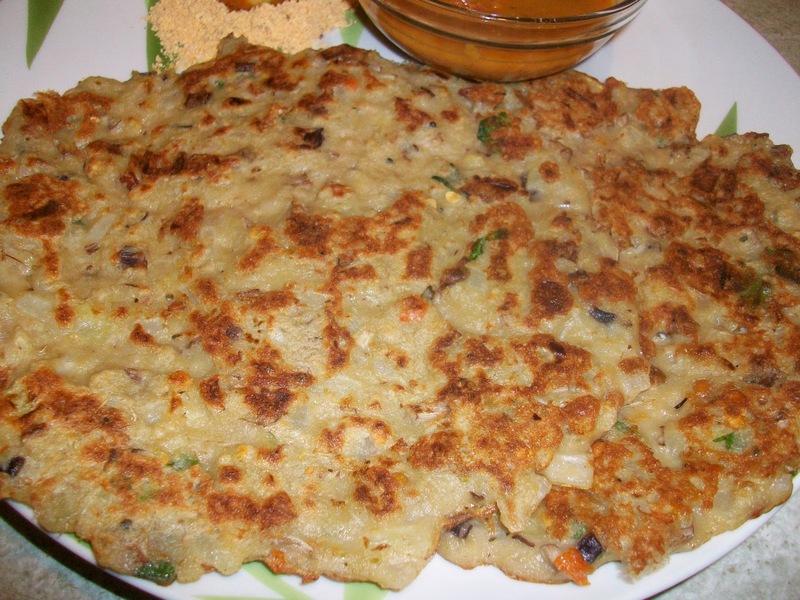 Heat a tawa,pour a ladleful of batter to the tawa and spread lightly in circular motion. 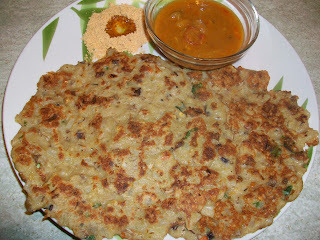 This will be a thicker dosa.Drizzle some oil around the dosa and cook in medium flame. After 2-3 minutes turn other side and cook till it become little crispy and well cooked. It will take time to cook completely. 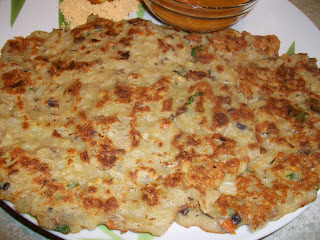 Then remove from the tawa and serve hot with chutney or sambar or it can be taken as such. Thanks for the post. I tried and it really came out very well.